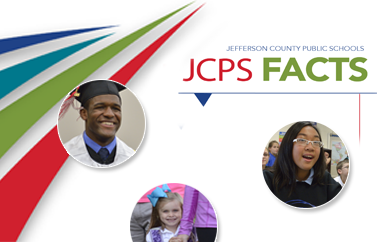 JCPS strives to make sure students are fully prepared for college-level work. We want all students to become lifelong learners and to be ready after high school graduation to start earning a degree, diploma, certificate, or license that will help them develop a fulfilling career—one that enriches both their lives and our Louisville community. Advanced Learning Opportunities—From Advanced Placement (AP) and International Baccalaureate (IB) Programs to dual credit, early college, and more, JCPS schools offer a variety of ways for students to work toward college credit in high school. Exact offerings vary from school to school, so if you're interested in one of these programs, please explore your school choice options. College Access Time (CAT)—The CAT curriculum is unique to each school, responding to local student needs for lessons and activities that develop student career interests and motivation. The program monitors students' academic progress, intervening when necessary with subject-specific remediation. CAT also helps students get ready for standardized tests like the ACT, which are essential for most college application processes. College Success Programming—A collection of initiatives focusing on college access and success, this program augments the work already taking place in schools to prepare students for college. Initiatives include online college and career planning portfolios, Kentucky college application month, and programs to increase college access and success for low-income, first-generation, and minority students. Career and Technical Education (CTE) Programs provide transition between high school and two-year college and training programs that can carry you on to the certifications and associate's degrees necessary to start some careers. In addition, transition agreements with Jefferson Community and Technical College (JCTC) and the Sullivan College of Technology and Design (SCTD) allow any senior at a Jefferson County public high school to take courses at these schools. To receive college credit, students must earn an A or B. Community college is a great way for any students to start a postsecondary education. Programs include everything from licensure to transition to four-year programs. Classes are usually offered at a variety of times, including evenings; take place on different campuses; and are cheaper than equivalent university courses. The ULtra Program is a partnership between JCTC and University of Louisville (UofL) that supports students who are seeking a bachelor's degree but want to start at the community college. You don't have to go far to have career and education options. Louisville is home to more than 30 accredited institutions that award degrees, diplomas, certificates, or licensures. Though many students will pursue their education further afield, you can earn postsecondary credentials in your own backyard. Louisville has everything from a top-rated research university to an excellent branch of the state's community and technical college system to specialized certificate and licensure programs. UofL has nationally ranked programs in education and business. Spalding University offers a unique student schedule and has a nationally recognized program for creative writing. Galen, ATA, and Spencerian Colleges all offer programs that focus on nursing and other medical and technical professions. There are many more options— too many to name here. Even better news, you don't have to wait until you graduate to start earning college credit. Read the next section for more information. There are a number of different ways to start earning college credit in high school. Dual-credit courses are taught in JCPS high schools by either a high school teacher or a college professor, using college textbooks and lesson plans. Through an agreement between the high school and the college, students taking these courses pay college tuition for the course and earn credit both at their high school and at the college. JCPS schools offer a variety of dual-credit opportunities with UofL, Bellarmine University, Morehead University, and JCTC. Articulation agreements between a high school and college award college credit for high school courses that the college judges to cover the same material with the same quality as a college course. One advantage of articulation agreements is that they often allow students to earn blocks of college credit, sometimes as many as 24 credits while still in high school. Advanced Placement (AP) courses are college-level courses taught by specially trained high school teachers using standards developed by the College Board. Students must earn a certain score on an AP exam in the subject to earn college credit as defined by the receiving college or university. The key to financing your studies after high school is to research available aid and apply, apply, apply. The more you apply, the better your chances of getting the money you need. The Kentucky Higher Education Assistance Authority (KHEAA) is a state organization that administers several financial aid programs, including the Kentucky Educational Excellence Scholarship (KEES). If you are a Kentucky resident and maintain at least a 2.5 grade point average (GPA) in high school, you are eligible for KEES money. To be eligible for major state, federal, and college financial aid programs, you should fill out the Free Application for Federal Student Aid (FAFSA). FAFSA requires information from your and your parents' income tax forms to determine income and eligibility for aid. More information on financial aid and on all the programs on this page is available from your high school counselor.